Chilli sat down with Big Lez (you guys remember her?!) for an exclusive interview in front of a small audience. She spoke mostly about the lessons she's learned over the years and whats most important to her. Big Lez opened the floor up for questions from the crowd which appeared to mainly be young people. Chilli answered questions about her career, her fave color, and even her very very top secret pregnancy. 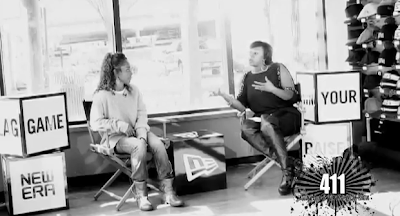 In the latter part of the interview, Lez asked Chilli what/if anything she regrets about her life/career...you may be surprised by her response.